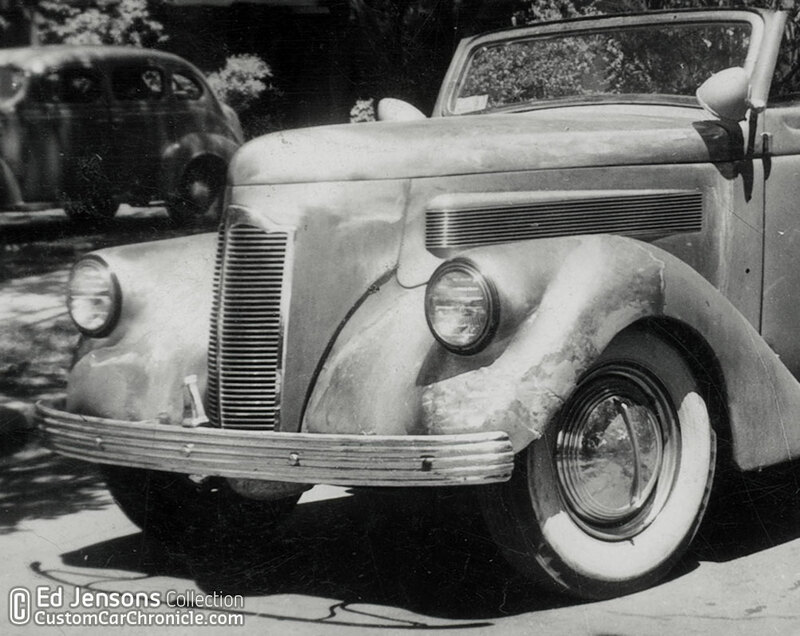 Before Harry finalized his “Westergard look” he created headlights molded on top of the fenders on the Gene Garrett 1936 Ford. Where did this styling inspiration come from? 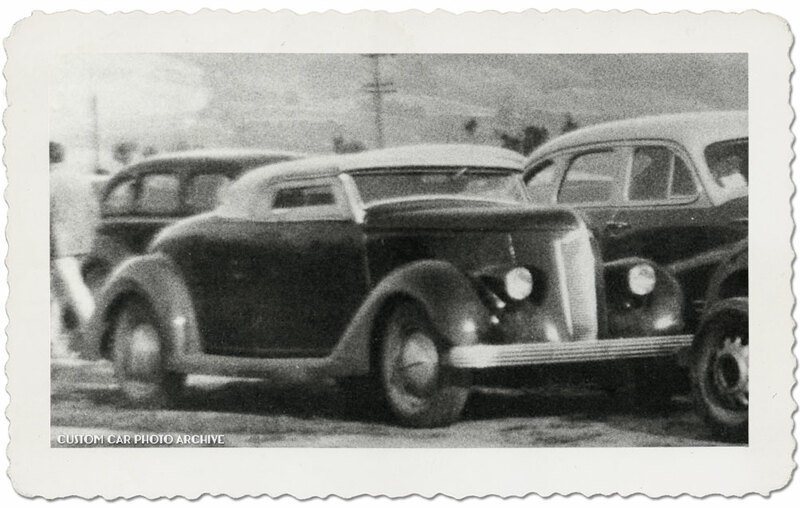 In the Early 1940’s Harry Westergard was already busy restyling cars for his clients. One of his earlier efforts was the 1936 Ford for Gene Garrett. We did an full article on this car some times ago. One of the restyled elements on this car are the on top of the fender mounted headlights. 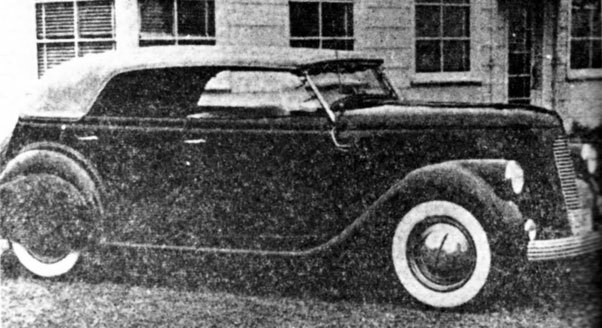 In later restyling efforts on other 1936 Fords Harry would mold the headlights in the valley between the top of the fender and the frill sides. A much more attractive modifications. We know that the early customizers were inspired by what the coach-builders and high-end car manufactories were doing. How these more exclusive cars looked like, what kind of parts they used, and how everything was restyled. The customizers would then copy styling cues of these more exclusive cars and incorporate these into their cheepers Ford’s, chevy’s and other brand of cars. All based on the parts available to them from the local junk yard. 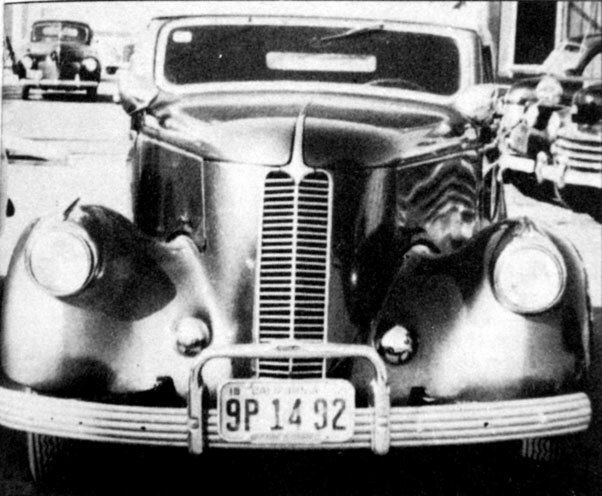 The headlight design Harry came up with, for Gene Gerrett’s Ford was most likely copied from the luxury 1936 Pierce-Arrow. 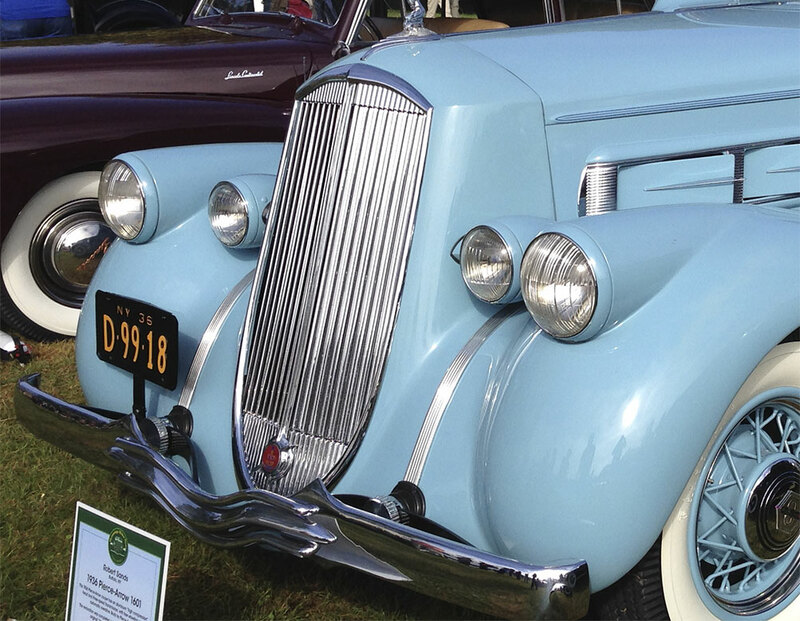 Most likely Harry Westergard was the first customizer to incorporate this style of headlight on a 35-36 Ford. But he was not the only one. 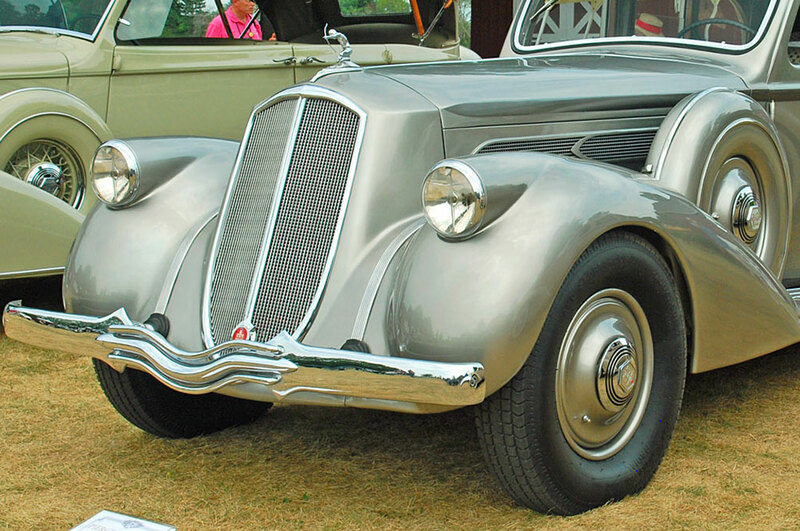 There are several more early styled custom cars that have similar styled headlights. Perhaps some of the others were created by Harry, or possebly other builders were inspired by Harry’s early effort, or perhaps by another Pierce-Arrow. Perhaps not the most attractive headlight design, but its interesting to know where the inspiration for Harry’s restyling came from. Gene Garrett’ 1936 Ford convertible. 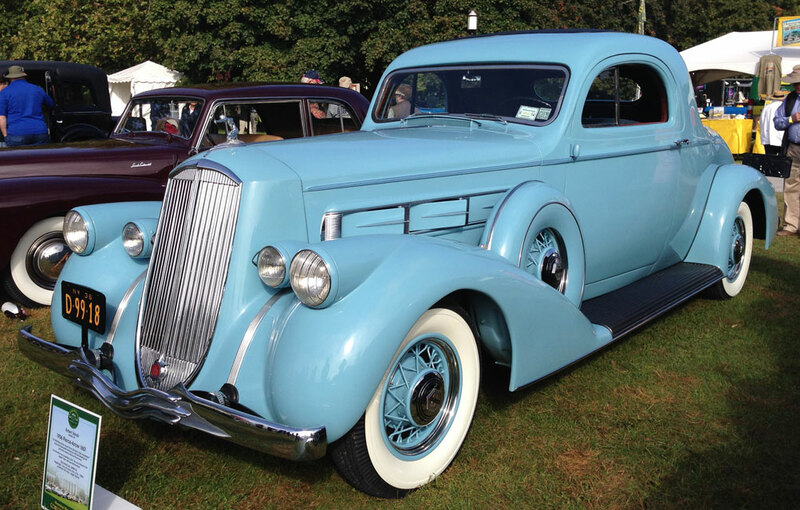 The Pierce-Arrow used the on top of the fender molded in headlight design in 1936. A closer look at Harry Westergards version. This very nicely styled 1935 Ford phaeton also has front fender top mounted headlights. We have no info on who built this car, nor who owned it. 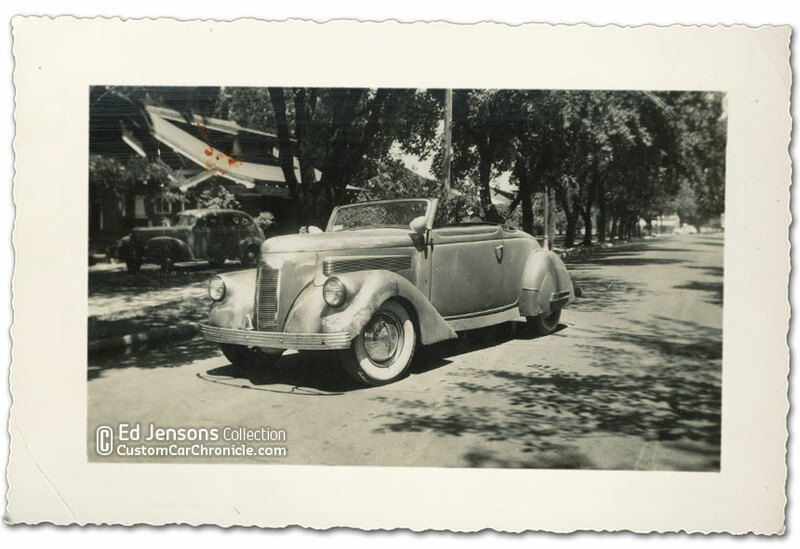 One photo from the Jack Calori Collection shows a 1936 Ford four door sedan with the same headlight treatment in the background. 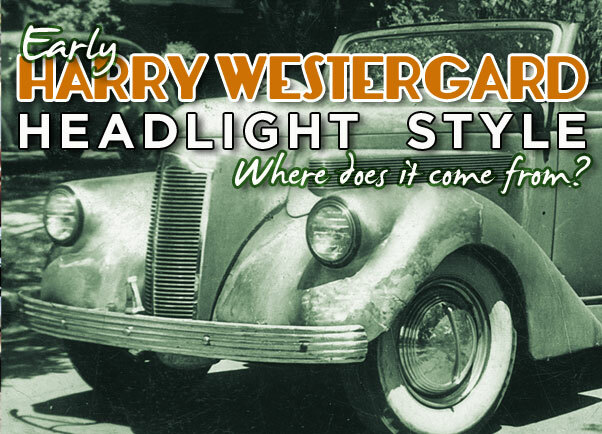 Harry Westergard would later refine his front end design and create the what we still call “Westergard look” today. 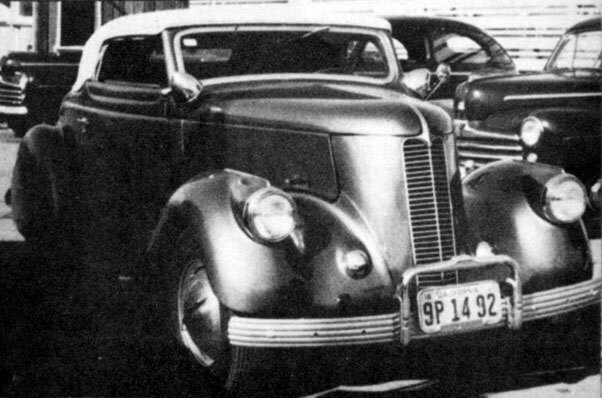 Long narrow grille, and long teardrop shaped headlights molded into the valley between the fender tops and grille sides. I never really took to the Pierce-Arrow style of headlights. That style of light was a Pierce-Arrow trademark for years. Even back into the 20’s I believe. It looked strange back then compared to what other auto makers were doing. 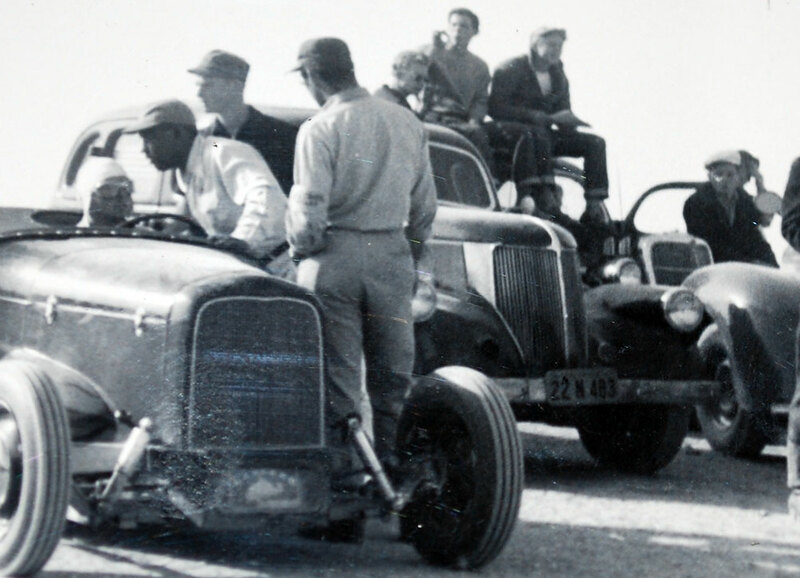 Maybe Westergard was inspired/influenced by the 1937 Willys? Probably more common to see one of those on the road back then rather than a Pierce-Arrow. Perhaps Rich… but it would be more likely Harry wanted this every day Ford to look like a much more exclusive Pierce-Arrow, than a local Willys. Good work, I never thought of the Pierce-Arrow link, but it sure makes sense. Great work once again Rik. My ’40 LaSalle has similar headlight treatment. It was the only year Cadillac/LaSalle had mounted them in the fenders, but then that was the last LaSalle year. Harley Earl was really on the automotive pulse. 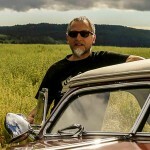 Harry Westergard had one of the best styles around. Westergard built cars stood out from the rest with styling queues like no other kustom. Westergard is built cars is the only style I like.